As I am writing this, 9 days have passed since my father died. It is difficult to experience this and to realize that he is gone. So many memories, and so many thoughts in my head. Dear friends. Dear relatives and dear friends! Thank you for your support, for your sympathy and for your condolences! So many calls, letters and messages from around the world. It is at this moment that I realize the scale of my fathers personality! Dad was a terrific person. Clever, kind and sympathetic. He was a strong man, a caring husband for my mother, a loving son for my grandparents, the best father for me. Unfortunately, life is unpredictable and at any moment something can happen that will break and cross out all our plans. My father was strong in his faith, and considered our sinful earth an "almost hellish planet", full of pain, trials and disappointments, but simultaneously saturated with love, happiness, joy and kindness - thanks to the good people who surrounded him. My father was a happy man. He always did only what he wanted to do. He wanted to live a long time, but God decided in a different way. Yes! We all will perish at some point. But we will not die, it is mereley our shells, our bodies, that wiull fade. The soul of each of us will continue on its eternal path! I believe his soul will go to Heaven! And our memories of him will live eternal! My thanks and gratitude to everyone who support our family during this difficult time! The legendary website www.progressor.net will continue to exist! I, along with a friend and colleague of my father, Mr. Olav Martin Bjornsen, with the help of several of our friends, will continue to work to ensure that one of the oldest progressive rock sites will continue to exist! On Monday the 17th of July Vitaly Menshikov passed away at age 55, following a heart attack. As the greater majority of people reading this will know, he was the founder and owner of this website, www.progressor.net, but he was so much more to so many people than the mere owner of a website. Vitaly was a kind and loving father and husband, leaving one son and his beloved Nellie behind. He was a good friend to many people, people he got to know both in his regular life as a proud Uzbek and citizen of Tashkent but also people he got to know due to his lifelong dedication to music. He was a musician, and had his network and friends in those circles too, and for many musicians in living in parts of the former Soviet Union he was also a guide and perhaps even a mentor, due to the books he released back in the 1990's. Many people can say a lot about Vitaly, and while I briefly mention some of the many dimensions of his life, my role here will be to say something from my point of view and my experience, as it would be wrong of me to second guess what other people might want to say. My relationship with Vitaly started back in 2008. 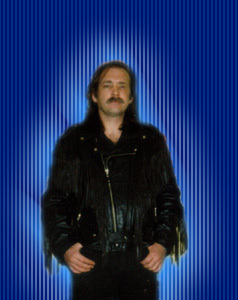 I was then contacted by Ken Westphal, who had been given the task of recruiting a new writer for the progressor website. He found me due to some reviews I had written about the artist Robin Taylor, a musician whose productions and music was close to the heart of Vitaly. Due to my mainly positive descriptions about Robin's music and the manner in which they were done I was deemed a suitable candidate. My working relationship with Vitaly didn't start out all that good I'm afraid. He tried to give me some guidelines to work after, but something got lost in translation there, so to speak, and for the first few months the reviews I submitted were rather poor in quality. But Vitaly was patient, and when we started talking about the how's and why's of reviewing, and he could mentor me in a more careful manner, it didn't take all that long before I could submit material that was of the quality needed for the progressor website. That is an important detail to note. Vitaly's approach to music, while it could be rather blunt and straight to the point, was that an analytical approach was merited and needed. Music is art, and should be described as art and treated with the same amount of respect as other forms of art. In this we did fully agree. 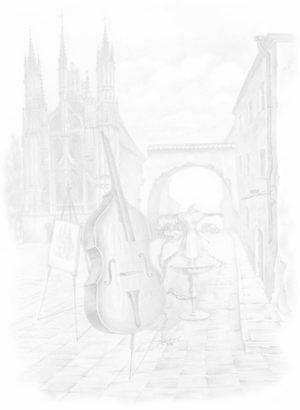 An old fashioned, romantic and possibly anachronistic view of music, but one that was in our collective backbones. Over time I took over more and more of the reviews of the website, for several reasons. One of them being that Vitaly had started to tire of all the new music that didn't really sound like it was newly made, he often told me that he thought progressive rock of the kind were the emphasis is on progressive was something he felt had died, that too many bands these days were replicating what had happened in prior times to a much too great extent. Another reason was that Vitaly had some long standing health issues that made it difficult for him to work for extended periods of time. A few years back Vitaly had his first heart attack, and following this I took over just about all the reviews responsibilities. For Vitaly updating the site was more than enough work in itself. The progressor website is an old fashioned website, and updating it is a time consuming affair in itself: He would usually have to set aside three days to manage to get the monthly update done. In the final few months of his life it took him longer, as his health started deteriorating again in the final 6 months or so of his life. In the almost ten years that we worked together, the relationship between me and Vitaly also grew from a working relationship into a fairly close friendship. We hardly ever talked about music, but would mail about issues rather closer to our lives. I was in the position where I could help him with some smaller needs of life, which I gladly did when I was able to. While his possibilities for doing the same for me was more restricted, we had a balanced relationship still. Over time I was also his ear and his occasional shoulder for matters of a more distinct personal nature, and he much the same for me. From December 2016 and until Vitaly's death we had some challenging months. Vitaly needed more time to cater for the site update due to his personal health, and he got some difficult challenges in his life that worried him on top of that. In addition my own health was challenging me, following breaking my ankle back in November and getting back into proper health following this, which more or less sidelined me completely for a few months. We had the first ever month without an update, and the months following it was a struggle on both ends to produce enough material to warrant an update and then to actually implement the update itself. When Vitaly passed away I wasn't shocked and surprised as such. It was sad and devastating obviously, but I had rather figured out and expected that something was going to happen. What I had halfways expected was a message that the site would have to stop, as Vitaly had run out of capacity. Instead, it appears, his passion for music was still so great that he worked himself beyond his limits, and then suffered a second and fatal heart attack instead. Music has lost a keen supporter with the passing of Vitaly Menshikov. He meant a lot to many artists and labels, to fellow musicians and fellow supporters of music, but even more to the people close to him of course: His family first and foremost, but also to his friends. I have been blessed to have Vitali Georgievich Menshikov as one of the people I could say was a friend of mine. You passed away much to soon my friend. Enjoy life on the other side, and hopefully we'll meet when the appointed time has come for me. The year was 1999. I was living in Las Vegas when I got my first computer. I was a budding geek with voracious appetite, bent on learning to do every possible thing with this new toy. I taught myself programming & started designing websites. I had no idea how many wonderful things would come into my life through this nascent electronic portal. One of my first websites was "Dianne Ames - My Favorite 60's music." One day I got an email from someone who wanted to get acquainted. He said he stumbled onto my website and noticed a lot of bands were in the Progressive Rock genre. He didn't run across many females those days who were interested in what he called, "Prog Rock". That was our introduction. We struck up a cyber friendship and I marveled at how a computer had the ability to connect people half a world apart, even more viscerally than long distance telephone calls. I found this incredibly colorful (in a Johnny Cash sort of way - if you can call dressed in all black colorful) fellow to be a passionate, highly intelligent creative person not only with music, but with words, analysis and deduction, and wit ... deliciously wicked wit which, to me, is a kind of smart humor more delectable than beluga caviar on rye toast. We traded emails with escalating fervor. We shared life stories. He introduced me to his beautiful wife and 12-year old son, Dmitriy. I was on fire, stepping INTO fire of some sort, with jet propelled centrifugal force, full of excitement, inspiration and mental stimulation with a hint of foreboding. I went for it. We flirted, we argued, we avidly explored and debated the deep questions, as symbiotic philosophers and sincere seekers of the mysteries, truths, lies, layers and gray areas of this baffling experience we call "Life". Then he started sending me poems; dark, intense Edgar Allen Poe and Franz Kafka type poems with brooding, smirking, genius words that crept their long bony fingers all over me and spun a cloud of vapor around my little chamber of existence, compelling me to venture into his private world of angst and longing. Longing for what? In a word: meaning; the same existential quandary that still takes me on amazing journeys of exploration and internal excavation. who vanishes from sight.... "
We both jumped onto a magic carpet of esoteric odyssey and rode it as far as it would take us. I want to emphasize the first syllable of that word ODDyssey. Those are the kinds of rides I seemed to be taking in the days that closed out the century of our birth. Thus began a number of exchanges through email, packages and parcels with which to share culture by way of household goods, clothing and yes, electronic gifts and gadgets with my new muse. I had to get a step closer and actually speak with him. Like I said before, I was in a daze of euphoric discovery when I decided to telephone him at his home - solidifying the nexus of our coalescence and bringing his mad Russian sensibilities into my sanctuary there in the iconoclastic world of Las Vegas. Wait until I tell my son about this! I never made an international phone call before. How do you do it? 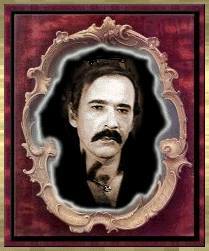 I was a blackjack dealer (a crass term in the sub culture of the gaming world). We casino workers call it "21" - not "blackjack". I had a comfortable income level that gave me liberty to make such a capricious phone call, and so I did. My new cyber friend guided me through the protocols of transmission relay through the circuits of Moscow and then to his home town: Tashkent, Uzbekistan. Who even heard of that place? Nobody I have ever known. It took several tries, but the call finally went through and I felt the adrenaline surge of anticipation as I heard it ringing on the other end. The voice was a deep, rich, wonderfully masculine timbre with enticing cadence that made me feel like my secret crush, Worf, son of Mogh (from Star Trek) was going to burst right through my front door. In all actuality it may as well have been. This man was bigger than life. His ideas, questions, fears and frustrations covered a spectrum much broader than the average "Joe". With time and money to spare, I allowed the telephone call to go on for hour after hour. How many hours, you may ask? It rhymes with "late", which is what it was when we finally had to end the call. (See note below). During this amazing dual time zone play date, I learned of how a recent change in the Russian regime had frozen and then confiscated considerable family assets and now the family was transitioning into a reluctant downsizing of not only their home and possessions, but the scaling down of idealism, hopes, prospects and possibilities. It wrung out your very core and made you question all the things we spent months and months dissecting. Where was God in all this? What, who, where is the God-force that toys with us in such a way to render us as powerless as a bug in a Petri dish? Note: The phone bill came and I was dying to see what price I had to pay the piper for an 8-hour marathon dance with my new muse. I was interrupted by a (local) phone call so I left the open statement of charges on my desk with the envelope partially obscuring the amount. As I looked down, I saw numbers $150 and thought that was a few hundred dollars less than I had expected. I finished my phone call and slid the envelope over, revealing another zero at the end of the column. $1,500 plus change for that capricious escapade. Something I would never do again but did not regret for one second, then or ever. We learned a lot from each other. We pushed the metaphorical envelope and got a little crazy with boundaries between fantasies which were sometimes fueled with drugs; cocaine for me, heroin for him. We sliced ourselves on the edge of reason and just like we knew we would, we found our way back to reality, such as it was in the subjective marbleized layers and overtones that you find in a puddle of melting crayons. But our crayons were fluorescent and opalescent and positively pixellating! (in the pixie sense, not the computer term). Energies were exchanged that assured us we were altered forever and somehow divinely enriched by having shared seats on this magic carpet ride with emotional, intellectual and spiritual blending of our souls. Vitaly, my life gained dimension when you said hello. Now your beautiful son with the same deep resonant masculine voice, has become my surrogate nephew and he says he goes by the same nickname of his devoted auntie, Dee. Our extended families have become forever linked as we share love, loss, and an inextinguishable drive for fulfillment while we continue to explore life's mysteries through our spirit (energy) and our electronic bloodline. We may one day be in physical proximity, but at this point that is almost a supererogatory embellishment to the soul connection we all have acknowledged as providential. In the truest mystical and spiritual sense, we are one. With all my heart, I thank you Vitaly Menshikov for following your heart and the promptings of your God, as you articulated to me on so many occasions. My love for your family is wrapped in the patriarchal genesis of your particular sense of wonder, curiosity, and determination to go deeper into the bosom of life itself, edging right up to the throne of your Creator. As you take that last magic carpet ride, we throw petals of gratitude onto it ... Heartfelt thanks for being a part of your very special existence on planet Earth. I look for a new portal to open between us; the door between dimensions, now that you have shed your human pajamas we call a body, and returned to your natural state of pure energy. What will you do now with your amazing creative self? Nothing short of sublime, I do believe. 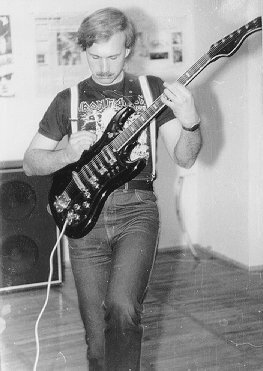 Vitaly Menshikov ... Uzbekistan's keeper of the golden keys to Prog Rock. I recorded two albums with Vitaly Menshikov under his musical name which was "Progressor". So we released the first cd album JEREMY AND PROGRESSOR --THE PEARL OF GREAT PRICE (MALS/ MUSEA label ) in 2007. This album was a totally instrumental progressive rock release. Many of the songs were in the key of A minor which I learned was the most popular Russian key to compose in . The album also was a tribute to the late BRIAN HIRSH who also passed away during the making of the album. The album featured great use of keyboards and electric guitar , ranging in styles from progressive, symphonic, and electronic rock excursions. It was well received and became a favorite among progressive rock fans for it's exciting spirit of adventure and musical exploration. This album was fun to record and came together rather quickly. The hard work paid off, and Vitaly was very pleased with the end result. The album became a progressive masterpiece ! It was not something that could be properly absorbed in one listen. This was deep music for those who wanted something more to explore. After finishing this album, Vitaly and I never discussed making a third one. I think we both knew this was it. Maybe deep down Vitaly knew that his time on this earth would be short. He has left behind a wonderful musical legacy that is unique and different than anything I have heard. It is great to be a part of it. Long may he live in our hearts and minds. We are deeply saddened by the news of the passing of Vitaly Menshikov. 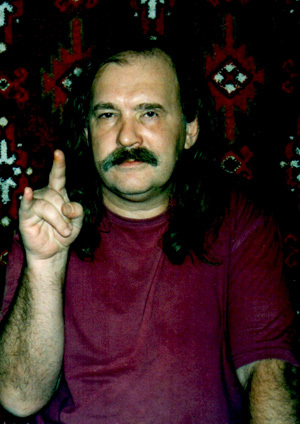 He was a man of many talents: musician, producer, writer, musical critic, one of the major experts in Progressive Rock in Uzbekistan and the whole Russian area, founder and contributor of the Progressor.net website. He also was one of our oldest and more passionate fans, he loved and knew our music inside out, no small or hidden detail could escape his brilliant and curious mind. He even created and maintained our official website on his Progressor portal for like 15 years, a sign of friendship and dedication we will always be grateful for. He wrote some of the most beautiful, intelligent and spot-on reviews on our works. You know, when you create the kind of music we did and do, sometimes you ask yourself what’s the point, will anyone be listening to it, will anyone understand what you’re trying to say? Well, when those thoughts surfaced we just read one of Vitaly’s reviews and we knew that, up there in far Uzbekistan, someone actually DID listen and DID understand. It is a real shame we never had the chance to meet him in person but we surely felt close to him as we feel close to his family and loved ones now in this sad moment. To them go our deepest and more sincere condolences. And to you Vitaly go our endless Gratitude, Respect and Love. Being one of your favourite bands was, is and always will be one of our greatest accomplishments. 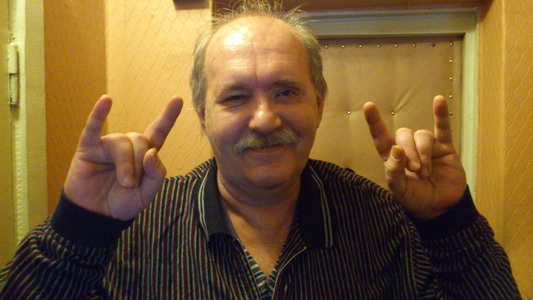 It was with great sadness, that I received the news from writer Olav M. Björnsen last week, that Vitaly Menshikov, founder of the ProgressoR website, had just passed away due to a heart attack - at only age 55! I knew, he was struggling with a bad health - but always hoped for the better. 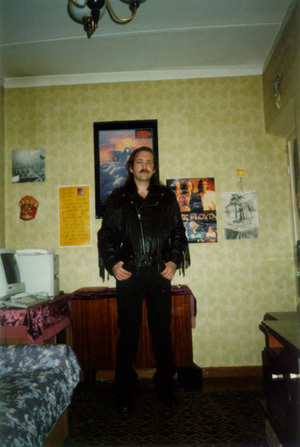 I had known Vitaly from the beginning of the new millennium, when I (suggested by a friend) sent some CD promos of mine to him, for eventual review on the ProgressoR site - and Vitaly right away fell in love with my music - as ONE OF THE FIRST music writers outside my native Denmark (!) That was how our friendship began, and he was so enthusiastic about my music, that he 'baptised' me "One of The Real Titans of Progressive Rock"! Covering my entire catalog of releases (both past and future) with highest praise, indeed opened quite a few doors to the world abroad, and I owe him for his great willingness to support and encourage my art! Vitaly's reviews were always outstandingly detailed; his analyzis showed, that he had REALLY listened and gotten properly into the music, he was writing about (unlike a lot of reviewers)! From the moment, he began telling me about his failing health, we also came across this subject (mutual health issues) in our regular correspondences - but as time went on, I came to the understanding, that his situation was becoming 'seriously bad' (which I felt sorry for - but little could I do). We lost contact around the time, he had almost given up reviewing for ProgressoR - entrusting most of this task to Olav. I could sense, what eventually would happen - but the message from Olav last week, still came as a shock! I feel lucky, I had the chance to get to know Vitaly, because of the friendship we shared in so many years! 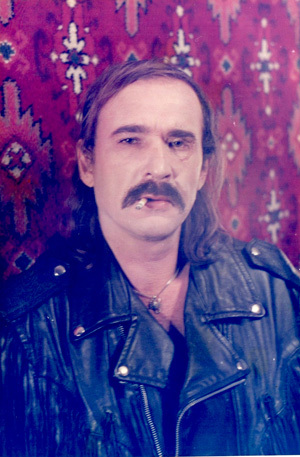 Rest in Peace, Vitaly Menshikov! 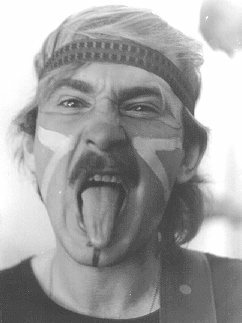 In the days that have passed since Vitaly Menshikov passed away, we have reached out to some people and asked if they wanted to contribute with memorials about him and his life, or memories of their interactions with him over the years. We would like everyone who feels the need to contribute to this, as a manner to conserve his history, his accomplishments and what he meant to other people. No-one should feel that they -have to- write something down and have it published by any means, but we openly invite anyone that feel they have -a need- to do so to send in their words, by preference to olavmb(at)gmail.com, so that also the next update of this website can feature articles by those who may have such a desire. We also come with this open invite because we have only been in touch with some, and we realize that Vitaly may well have had friends he corresponded with that we either aren't aware of or we do not have any contact information to reach. When the founder and owner of a website passes away, and that person also has been responsible for the technical aspects of running it, usually that will mean that the website closes down. As matters look right now, the progressor website will continue, lead by Dmitriy Menshikov and Olav Martin Bjornsen. Dmitriy is Vitaly's son, Olav has been Vitaly's main partner for the website since 2008 and the main reviewer for the past 5 years or thereabouts. That being said, we will not be able to continue with this venture alone. Dmitriy is now looking for people in his network that are able to handle the maintenance and update of the website. Progressor is an old school html website, and updating it does take some time. As Vitaly left behind quite a few CDs sent to him over the years that he didn't have the capacity to cover, and Olav has a fairly large stack of CDs that needs to be covered as well, any reviewers that are comfortable with the analytical approach used by progressor should feel free to get in touch. Dmitriy and friends of him have catered for this update. We will need help on a permanent basis moving on from here, and will get back with announcements regarding that if we are unable to find people in our own networks with the capacity to do this.